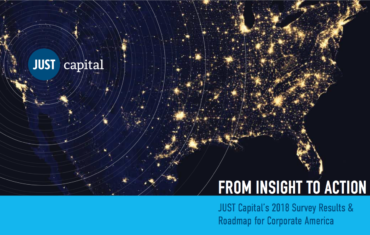 JUST Capital has created a Ranking on Corporate Tax Reform to quantify and rank company commitments tied to the Tax Cuts and Jobs Act (TCJA), signed into law December 22, 2017. The project aims to help people understand how each company intends to distribute its proceeds from the tax cut and how those distributions line up with the priorities of the American people, based on our polling. The core methodology for the initial project is below. We will continue to build on the project to track worker raises and bonuses, stock buybacks, capital expenditures, executive compensation, and other indicators to capture a clear sense of where the tax savings are ultimately going and whether this aligns with what Americans would want companies to do. Based on corporate press releases and media reports, JUST Capital estimates the incremental dollar amount being reinvested along six of the seven key Drivers of JUST Capital’s model (Workers, Customers, Products, Environment, Communities, and Jobs), with tax reform cited as the primary reason. 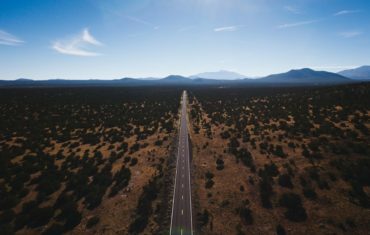 If a company does not assign a specific value to these investments, or provide enough detail for JUST Capital to make a reasonable estimate (for example, a pledge to make a charitable contribution without specifying an amount or time frame), it does not receive any credit for that Driver. We are excluding Management & Shareholders from our scoring under the assumption that all residuals, until stated otherwise, may be held as retained earnings for future investment. We first create an estimate for the average number of workers at each company branch or store location based on company disclosures and other publicly available data sources. JUST Capital has created wage estimates, by title and location, for workers at the 140 largest retail and service sector companies in the U.S. using nearly 1.8 million salary data points from various sources including job postings, self-reported wage assessments from crowd-sourced company review platforms, and H1B visa data reports. The database models pay-by-title for nearly 14 million workers at over 530,000 branch and store locations and includes pay estimates for most of the country’s large retail branch networks. JUST Capital next creates an estimate for the distribution of employment at each location based on the Bureau of Labor Statistics (OES) national distributions by title for the company’s Occupation Classification Code (OCC). Each company level distribution is then adjusted to account for the size of the office with smaller branches having fewer titles and larger branches having more titles. Title names vary slightly by company and as a result are first matched using one of 2,500 OCC codes. JUST Capital calculates a wage estimate for each title by location. In order to do this, JUST Capital first multiplies each wage record available by a county-level purchasing power index (C2ER) to create a nationally comparable wage for each record. The wages are then averaged to create a nationally comparable average wage for each title that is then used at the branch location (after it has once again been adjusted with the same purchasing power index). All location data for banks is based on the FDIC database for active branch locations. In order to calculate how raising a company level minimum wage may impact employees, JUST Capital first identifies all workers in all counties currently earning less than the proposed minimum wage based on its model estimates. For workers at titles that earn the lowest salaries, JUST Capital increases the average salary to the minimum +20 cents ($15.20/hour for a company minimum of $15/hour) to account for a limited amount of variance for employees with higher seniority. All data is created at the county level and is then summed to determine the annualized impact of the wage increase on income. JUST Capital assumes that 75% of workers are full-time and 25% of workers are part-time (modelled off the distribution of full-time vs part-time workers in recent announcements) and as a result uses a 1,750-hour work year (35-hour work week) for its annualized income impact assessments. All wage increases and employee benefits expected to be paid on a continual or annual basis going forward are fully valued in our calculation. One-time bonuses are included at 25% of their current value, under the assumption that the value to employees will be spread out over four years, or the average tenure of the American worker. All reductions in rates and fees passed on to customers and attributed directly to tax reform are categorized as an investment in customers. JUST Capital relies on estimated total savings provided by corporations in press releases or other public communications or, in the absence of such figures, calculates such savings as the lesser of the stated annualized reduction in rate/fees multiplied by the estimated number of customers impacted (typically disclosed in public filings) or the total estimated value of tax savings. Incremental investments in improving the customer experience or protecting customer privacy that are directly attributed to tax savings are also credited to the Customers Driver. All investments in improving product benefits or quality directly attributed by the company to the tax cut are credited to the Products Driver. For financial institutions, this includes increasing the availability of loans to small businesses or low-and moderate-income homeowners. For other businesses, this might include research and development spending on socially responsible products and services. Note: any direct hiring related to these actions are credited to the Jobs Driver, while any direct charitable giving or grants are credited to the Communities Driver. We quantify the annualized investments made by companies to support their communities due to tax reform. Relevant actions under this category include charitable giving, matching employee donations, employee volunteering, and management of social impacts in the supply chain, among others. To calculate the incremental investment, JUST Capital tries to isolate how much of the action can be attributed exclusively to tax reform, separate from pre-existing commitments or policies. For example, if a company announces they are going to donate $20 million to charity in 2018 due to tax reform, but has a standing policy to donate $15 million annually, we deduct the $15 million from its announced pledge and calculate the change to be $5 million. JUST Capital considers designating tax reductions to corporate foundations, however, as separate from direct charitable giving (e.g., to the United Way or local nonprofits). Many companies have announced commitments to their corporate foundations, and this was not adjusted for any previous charitable giving. If a company describes a charitable contribution as “additional” or “incremental,” we generally assume this is in addition to previous commitments. Qualifying investments must be made in the 4th quarter of 2017 or later, earlier donations are assumed to be uninfluenced by tax reform. If a company discloses the amount given in the first three quarters of 2017, we assume they originally intended to give that average amount into the fourth quarter, and adjust the 4th quarter amount accordingly. For companies announcing increased volunteer time for its employees or other related commitments, we estimate the cost depending on the adequacy of details from the company. The company needs to disclose the number of hours allotted per year, previous participation rates, etc. JUST Capital then uses its own average wage data and applies it to all employees. Sources can include the corporate website, including corporate responsibility reports. All incremental changes are annualized by dividing the total amount by the number of years over which the company will invest the commitment. If no timeframe is mentioned, we assume the entire donation will be made in the first year. JUST Capital classifies any reinvestment in the Jobs Driver, so long as 1) it represents spending that is incremental (i.e., above previously stated plans or the current run rate) and attributed primarily to tax reform by the corporation and 2) the capital investment is tabbed for job creating activities, either explicitly (the company provides an estimated number of new jobs it will create) or implicitly (the company expects an unspecified acceleration in growth of headcount, branches, or business units). The dollar amount of investment is annualized by dividing the total incremental spending amount by the number of years over which the company will invest. There have not yet been any company announcements relating to the reinvestment of corporate tax savings in the Environment Driver. If (or when) that occurs, we will update this methodology to reflect our approaches in estimating the incremental dollar amount reinvested in those areas. We are excluding Management & Shareholders from our scoring under the assumption that all residuals, until stated otherwise, may be held as retained earnings for future investment. Nevertheless, JUST Capital tracks all announcements pertaining to specific actions to return capital to shareholders (special dividends, share buybacks) tied primarily to tax savings. JUST Capital considers tax savings as a sum of 1) the reduction in annual taxes resulting from the new 21% corporate rate and 2) the savings from earnings repatriated or deemed repatriated at the lower 15.5%, spread over five years. To calculate the reduction in annual taxes, JUST Capital has collected data from financial filings on the U.S.-domiciled pre-tax income, U.S. Federal income tax expense (both current/cash taxes and deferred taxes), and excess tax benefits from share-based compensation (which was excluded from income tax expense prior to 2017) for the three-year period of 2014-2016. The estimated annual savings are either taken directly from company guidance when available or estimated by taking the average of U.S. domiciled pre-tax income from 2014-2016, multiplying that by the estimated new federal tax rate, and subtracting that from the average of actual U.S. Federal income taxes expensed over that period (adjusted for excess tax benefit from share-based compensation). The new federal tax rate is calculated as the new 21% corporate rate multiplied by the ratio of the 2014-2016 effective rate to the old 35% corporate rate. For example, if a company’s average U.S. tax rate for 2014-2016 was 23.3%, the new tax rate would be calculated at 14% (.233/.35 x .21 = .14). In cases where the average effective U.S. tax rate from 2014-2016 was negative, the process is repeated for 2016 only. If in 2016 the effective U.S. tax rate was also negative, the annual tax savings are estimated at zero. Earnings repatriated or deemed repatriated are derived from either company announcements or previous financial disclosures (in the form of undistributed foreign earnings). This is multiplied by the difference between the previous corporate tax rate of 35% (or an estimated federal tax liability if noted in the financials), and the 15.5% rate on repatriated earnings under the new tax law. This is divided by eight years, representing the amount of time companies have to pay this repatriation tax. 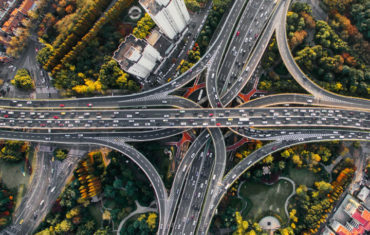 For each of the key Drivers, JUST Capital calculates a reinvestment rate, calculated as the dollar amount reinvested in that particular Driver divided by the total estimated tax savings. For example, if a company is expected to spend $20 million on increasing wages and make a $10 million charitable contribution based on an estimated $100 million in tax savings, they would receive a 20% reinvestment rate on the Workers Driver and a 10% reinvestment rate on the Communities Driver. The maximum reinvestment rate is capped at 100% in cases where expected spending is calculated to exceed estimated tax savings. JUST Capital talks to more than 10,000 Americans per year in our focus groups and surveys, across all geographies, income levels, political persuasions, ethnicities, and education levels. As of 2017, we’ve given more than 72,000 Americans a voice in our research. 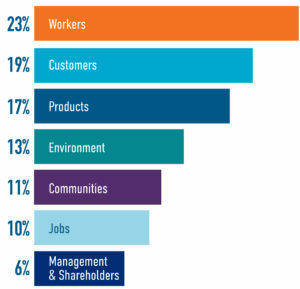 The 2017 survey results found that Americans, when asked to identify what is most important for companies to prioritize, ranked the following in order of importance: Workers, Customers, Products, the Environment, Communities, U.S. Jobs, and finally, Management & Shareholders. Therefore, in the prior example, the 20% reinvestment rate on Workers would produce a weighted value of 0.200 (20% x 1.00) and the 10% reinvestment rate on Communities would produce a weighted value of 0.048 (10% x 0.48). These weighted values are summed up to a raw weighted score. The maximum value is again capped at 1 for instances when spending commitments exceed estimated savings. The weighted reinvestment rate calculated above is then used to rank companies and assign them a quartile—where the top 25% of ranked companies fall in the top (4th) quartile, and the bottom 25% of ranked companies fall in the bottom (1st) quartile. Companies that pledge to invest all or most of their tax savings in higher-weighted Drivers (Workers, Customers) fall in the top (4th) quartile, while companies that pass on very little of their estimated tax savings land in the bottom (1st) quartile. A company’s assigned quartile may change as additional companies make Tax Cuts and Jobs Act-related announcements. Companies that announced investments, but are not expected to generate any tax savings due to either U.S. losses or a low effective tax rate receive a score of “NA.” Companies that announced specific action (detailed employee benefits, lower customer fees, increased philanthropic giving), but without a specific value are not rated (“NR”), whereas companies that make broad statements about reinvestment but give no specific action typically receive a zero score on any or all applicable Drivers.